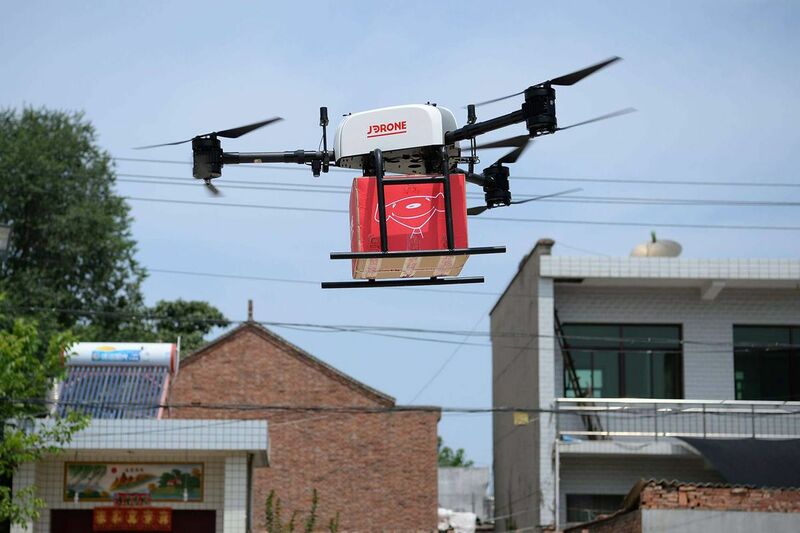 A drone carrying a package arrives at a goods delivery landing site in Xi'an, capital of northwest China's Shaanxi Province, June 20, 2017. You might call it the Flying Lobster – or maybe Brisk Bisque. One of China's biggest online companies wants to deploy a fleet of drones in Canada to airlift seafood from East Coast processing plants to the airport, cutting out land-haul costs in its bid to deliver more Atlantic lobsters, prawns and clams to Chinese consumers. JD.com is also developing plans for a drone network for the Canadian West Coast that could be used to carry local blueberries to cargo aircraft headed for China. It wants to replicate plans for similar drone networks in China, where it believes unmanned aircraft can slash logistics costs by 50 to 70 per cent, CEO Richard Liu said in an interview Tuesday. Mr. Liu met with Prime Minister Justin Trudeau in Beijing Tuesday and discussed the concept of bringing the company's delivery drones to Canada. JD, an Amazon-like company that is China's largest direct online sales platform, needs government approval for a licence to operate drones nation-wide. The company has yet to apply for a licence, and says it will need to conduct cold-weather testing before it can launch. Even in China, its drone project remains at an early stage, well short of full commercial usage. But Mr. Liu said the Canada plan, though ambitious, has moved beyond the conceptual stage and could take flight in as little as a year. JD's drones "can help reduce domestic logistics fees" in Canada, he added. His plan involves JD drones carrying fresh product between a series of drone bases, each a small patch of land that can be built into an operations centre for as little as $125,000. The drone would land for a few minutes to swap its battery before continuing onward to an airport, where seafood and fruit could be loaded into a cargo aircraft bound for China. The drones could cover hundreds of kilometres this way, hopping between bases. Squadrons of the airborne couriers could shrink the time between harvest and plate, Mr. Liu said. With blueberries, for example, drones could take product from "farms to an airport, and then to China," Mr. Liu said. "Within 24 hours, we can deliver to a family in China." In China's Sichuan, which is half the size of British Columbia, JD has estimated it will take 185 bases to connect the entire province. The company's current drones can carry up to 50 kilograms, but it is developing a much larger pilot-less aircraft that can carry one tonne for 500 kilometres, although it will require a runway. The company's interest in Canada, Mr. Liu said, has been sparked by the comparatively high cost of domestic shipping and small number of airports with connections to China. Canadian seafood today is typically flown from Halifax to Toronto before leaving for Shanghai, Beijing or Guangzhou. Next year, JD wants to sell roughly $500-million in Canadian goods, about half of it fish and shellfish. It expects to grow sales of Canadian beef and pork, and has plans to begin selling Canadian fresh milk, too. The company's Canadian beef sales rose 800 per cent this year on Singles' Day, China's annual Nov. 11 shopping spree. JD's Canadian ambitions come amid a new wave of Chinese overseas investment by firms possessed not just of deep pockets, but also world-leading technology they are now bringing to other countries. Some of China's best-known corporate names – Tencent, Ctrip, Mobike – are stepping abroad with cellphone payment systems, travel services and shared-bike concepts developed in China. Canada, with its large population of ethnic Chinese, is a valuable overseas proving ground. JD, too, expects to bring its main line of business, an Amazon-like platform for online sales, to Canada within the next three years – although it doesn't want to take on Amazon directly. "If we can bring a lot of Chinese local brands, those of best quality but with lower prices, I'm sure local people will love it," Mr. Liu said. But for now, its primary focus is on seafood. The drone plan is part of an attempt to slash the price of JD's Canadian catch by 20 per cent. The company is also mulling investments in expanding or modernizing Canadian fishing fleets. Mr. Liu also suggested looking to Europe for advanced processing technology that can be brought to Canada. "Though I am not clear what it is about seafood production in Canada that makes costs so high, technically speaking, I think the cost of its marine products can be lowered if technical problems can be tackled," he said. If costs can be cut 20 per cent, he said, "Canadian seafood will be very competitive globally." And, he added, "we've got enough cash" to do what it takes. 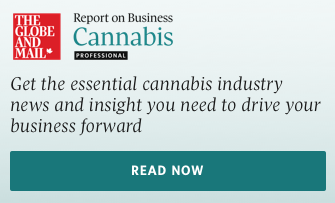 Not all of the company's plans have won a receptive audience in Canada. "I'm not sure how I would see drones playing a role," said Ian Smith, chief executive of Clearwater Seafoods, a Bedford, N.S.-based company that now sells roughly 20 per cent of its product to China. But, he said, JD is one of the company's key sales outlets and "has done a phenomenal job in the seafood e-commerce area" in a country where the average person consumes nearly double the seafood of someone in North America. "There's definitely room for Chinese investment in Canadian seafood," Mr. Smith said. China, which this week lowered tariffs on imports of some seafood products, "is where the market is. We haven't even begun to scrape the surface of the demand opportunity."